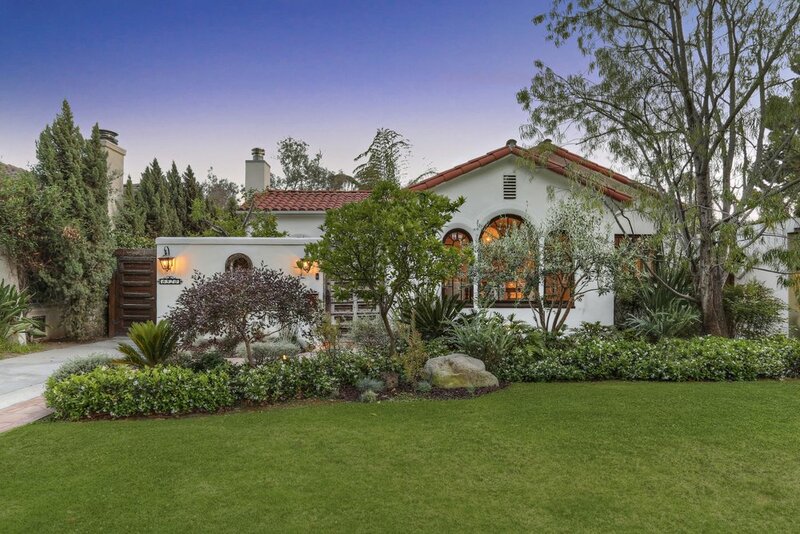 Authentic Spanish Walled & Hedged for Privacy Mid Block on Tree-Lined Moore Drive in Carthay Square. Sprawling Single Level Designed with Modern Finishes & Upgrades, alongside Original Architecture & Charm. Spacious Living Room w/ High Ceilings, Abundant Natural light and Wood-Burning Fireplace. Intimate Dining Room w/ Pleasant Separation & Privacy. 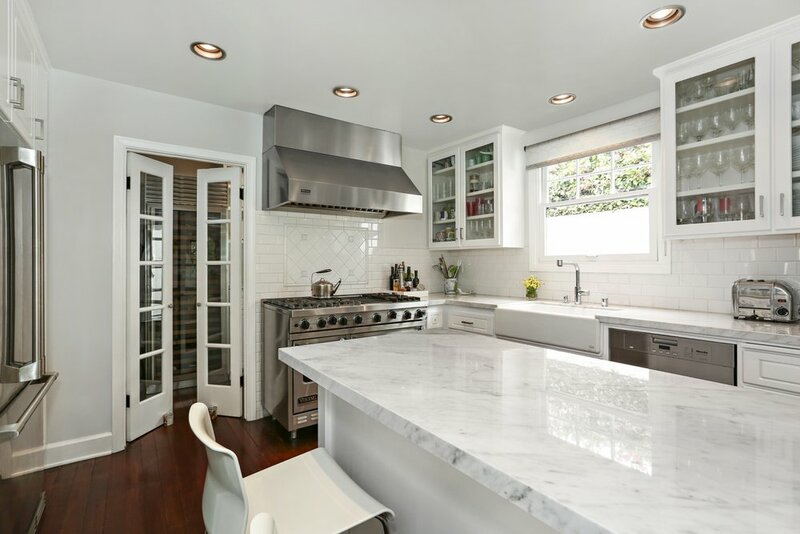 Warm & Inviting Kitchen w/ Gracefully-Aged Douglas Fir Floors, Carrera Marble Counters, Stainless 6-Burner Gas Range, Eat-In Breakfast Nook & Custom Spice Drawers. 4 Gracious Bedrooms Inc. Master Suite w/ French Doors & Views to the Pool, Master Bath w/ Dual Sinks, Separate Tub & Shower. Two additional Full Baths Plus Powder Room all Renovated w/ Period Tile & Fabulous Fixtures. Outdoor Space w/ Covered Patio & Deck, Blue-Bottom Pool w/ Waterfall & Spa. Garage converted to bonus space w/ built-in storage. Upgrades Inc. Central AC, Bolted Foundation, Rebuilt Fireplace, New Water Heater, Sound Speakers & Alarm System. HPOZ Neighborhood!